Being one of a handful of men promoted to ninth degree by General Choi, not many people can claim the lineage of Grand Master Hwang. 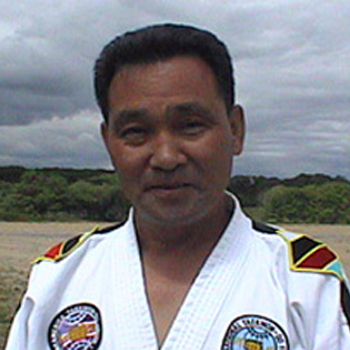 At the height of the International Taekwon-Do Federation (ITF), Grand Master Hwang simultaneously served as special assistant to General Choi, official spokesman of the International Taekwon-Do Federation, chairman of the ITF promotion and merger committees, and Secretary General of the ITF. Kwang Sung Hwang was born in Taegu, Korea, in 1942. He started martial arts training at age eleven. After graduating with a degree in political science from Kyung Buk National University, he joined the Republic of Korea Army (ROKA) as a commissioned officer in 1964. In 1967 Grand Master Hwang graduated from Korean Military International Certified Taekwon-Do School. In 1968-1969, as a Captain in ROKA, he taught Taekwon-Do to the Korean Tiger Division, the Korean Army, US Army, US Marines, and Vietnamese Army. While in Vietnam, he received commendation medals from Korea and Vietnam. In 1971 he was service company commander of the 26th Infantry Division which was also known as the Taekwon-Do Division. Leaving his military career, Grand Master Hwang was invited to the US and first taught a credited course at Manchester Community Technical College in 1971. He opened his first Taekwon-Do school the following year. In 1974, Grand Master Hwang graduated from the first International Taekwon-Do Federation Instructors Course and Umpires Course hosted and taught by General Choi in Montreal, Canada. He subsequently started taking private lessons from General Choi in the 1980’s after being promoted to seventh degree Master in Taekwon-Do. He assisted General Choi in many seminars worldwide.